Written Polishing a 46th Gem by Bridger Cunningham..
As of April 25, 2018, TVRG now possesses 46 Historic Sitcom Scorecards from 1964-2018. Potholes remain for 1967-71, 1972-73, 1979-81, and in mere weeks Nielsen will (likely) publish the seasonal results for the 2017-18. Until then, this scorecard will suffice as the last available entry until the next season debuts. The 1975-76 season experienced a comeback for the genre after the prior season produced a scant 23 entries, raising this season's total by 7 entries. Among those, 17 survived -- 5 on a momentum-seeking ABC, 9 on the sturdy CBS and a tragic three on NBC. 1976 became ABC's year to glow as it not only reached 2nd the prior fall, but blazed bright toward 1st as spring spinoff Laverne and Shirley took America by storm. Falling into the folds was NBC, which began what would be one of the network's two greatest droughts which lasted 9 years (the other occurred from 2004-11 as the network languished in 4th place). Spinoffs raged in trend similar to revivals in the 2010's. 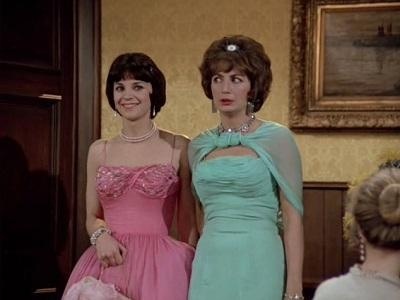 The greatest success story was ABC's Happy Days creating Laverne and Shirley, landing in 2nd place. Happy Days itself rebounded from 47th to 10th Place in the season as plots centered on shark-jumping Fonzie. CBS' spinoffs of landmark hits All in the Family and The Mary Tyler Moore Show monopolized their sitcom spaces. All in the Family managed top 25 successes Maude, The Jeffersons and Good Times, while Mary Tyler Moore spawned Rhoda the prior season and Phyllis this outing to successful results. NBC failed to capitalize on 7th Place Sanford and Sons' spinoff Eddie, which landed in 88th Place. Outside the spinoff craze, some beaming jewels emerged this season. Norman Lear managed to create independently-operating One Day at a Time, which would endure cast changes and 9 seasons with mostly favorable results. ABC instituted modest school success Welcome Back, Kotter and fostered growth with last spring's sleeper, Barney Miller. With 97 series, movies and sports outings dotting the roster, surviving below 50th Place reduced the odds.